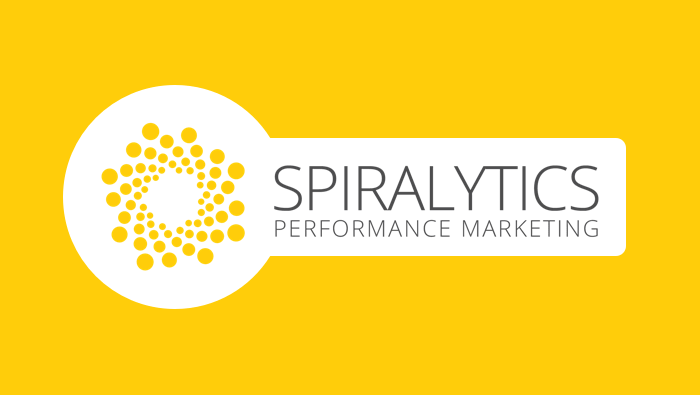 Here at Spiralytics, we operate like a small business to encourage flexibility and creative freedom. So, it’s vital to us that we use a task management system that helps us standardize, organize, track, and measure, without putting restrictions on the artistic flair that makes us who we are. 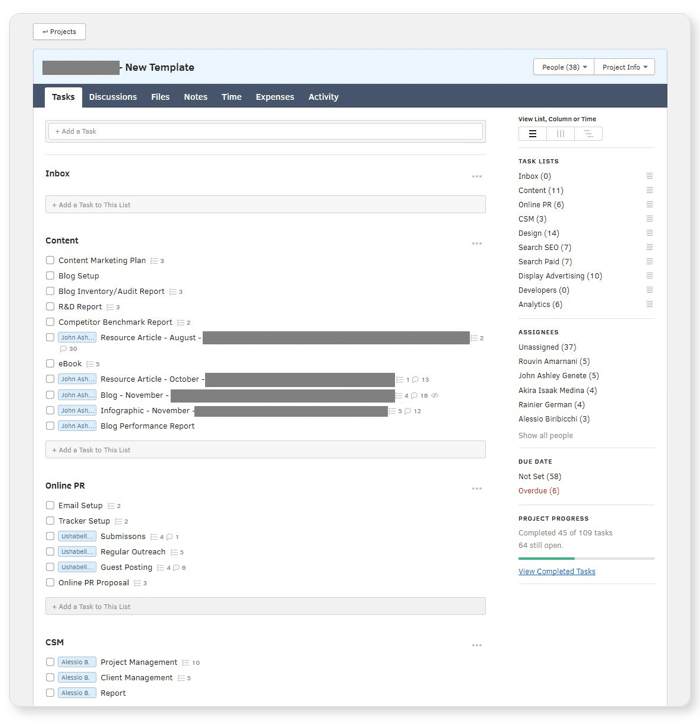 We started using ActiveCollab on a trial basis at the beginning of 2017, deploying it initially to our managers and client success team. At the time, we were on the lookout for a new task management system to replace the disorganized flurry of time trackers and project management systems we already had in place. So, during the trial period, we used ActiveCollab concurrently with our other systems. Change can be difficult, and it took a while to wean the team off our other system. But at the end of the second quarter of 2017, we decided to completely drop our other software and implement ActiveCollab (and only ActiveCollab) across all departments in Spiralytics... and we haven’t looked back. We manage all our department, clients, and new projects with ActiveCollab. 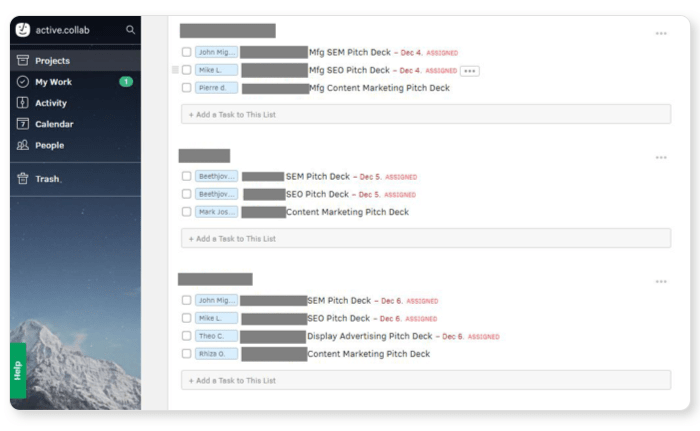 This includes around 50 users from client success, content, SEO, paid advertising, design, dev, and HR departments. The idea was always to create a unified communications system that the whole team could use to standardize operations. When someone works on a project, they track their times spent and update the discussion tab so we have full visibility of all output. This client is an international company operating in the web and mobile app development industry. We’ve been providing them with various digital marketing services over the course of our relationship. We set up a new project using a template (we create project templates according to the different types of clients that we have). Add pertinent and specific info to tasks for each department where needed (this info is different for each client and is based on formal discussions and questionnaires). Invite internal team members to join the project. Assign tasks and subtasks to corresponding team members. Set deadlines for each task where applicable. 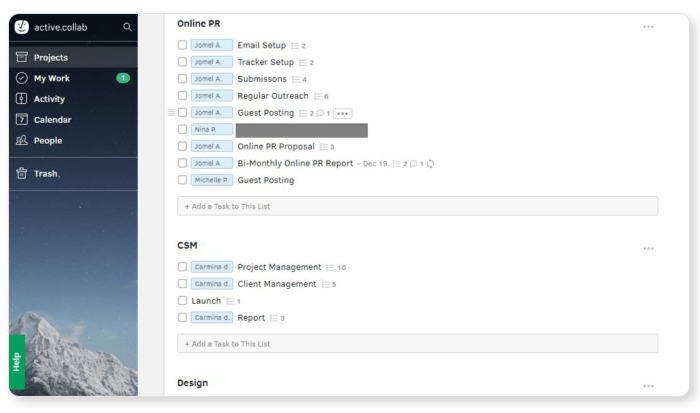 Set recurring tasks, such as weekly or monthly reports. Once the project is up and running, the team uses the AC timer to keep track of how much time they spend on each task. The project manager then analyzes time spent according to task type, department, and client to overall gauge efficiency. Email notifications and daily updates - I especially like these 2 features as I don't have to manually check in ActiveCollab if there is an update. I also like the fact that I can reply directly to the email and it shows as a comment in AC. Are there benefits to using ActiveCollab? Definitely yes! I’ll be honest, it did take about a month for the team to adjust to ActiveCollab from the old system. People had to learn about the new UI and features. We had to put standardized systems in place, we had to develop project templates for each type of client, and we had to determine best practices for tailoring AC to work in sync with our existing operations. There was definitely an adjustment period. Having said that, we have to give credit where it’s due. Before implementing AC, we weren’t quite maximizing our working efficiency because tasks weren’t standardized and communications weren’t unified. In preparing our systems for a company-wide implementation of ActiveCollab, we inherently addressed a few critical operational issues that needed to be fixed, therefore increasing our productivity. 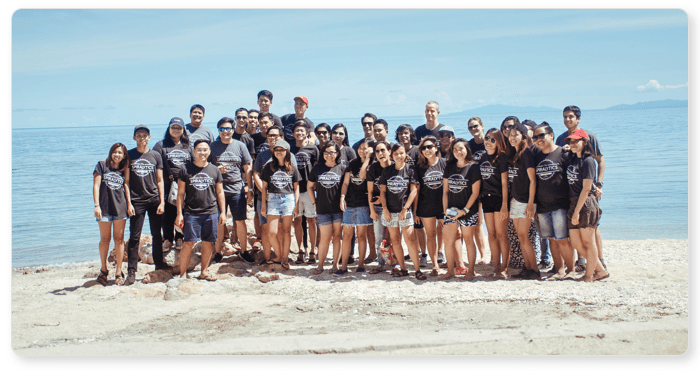 In less than three months, we were able to increase our client base from 30 to 44 (almost 50%) without hiring any additional employees. That meant a huge boost in overall output without the need for additional human resources, allowing us to operate at a far more efficient level. For obvious reasons, we’ve been very happy about our company-wide ActiveCollab implementation. We were predicting maybe a 20-30% increase in productivity at best, so the results totally eclipsed our expectations. I would highly recommend this system to any company that needs help managing cross-functional or remote teams at scale. It’s a real game changer!